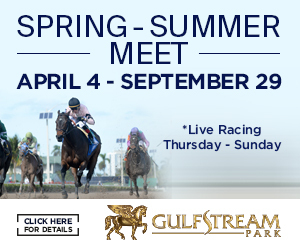 The schedule is below for the nine stakes races this Saturday, Nov. 10, at the Gulfstream Park West meet, at Calder in Miami Gardens. 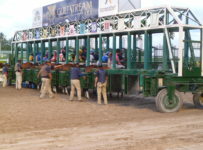 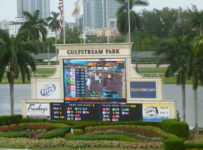 All nine races are restricted to Florida breds and have $75,000 purses. 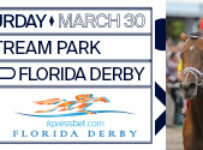 Beginning at approximately 11:00 a,m, on our blog, we will have previews and race coverage. 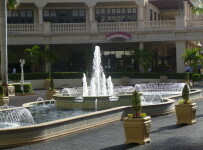 Our blog may be accessed on the menu bar at the top of the home page of this Web site. 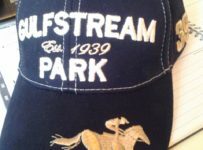 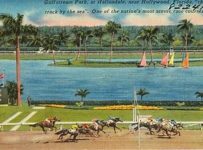 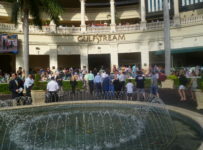 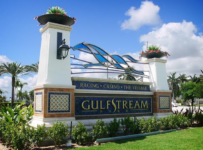 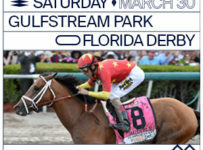 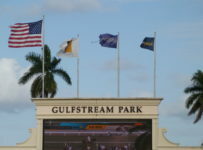 Gulfstream Park, which conducts the GP West meet, is billing today’s program as Millions Preview day. 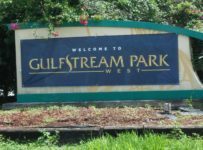 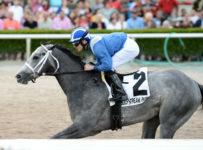 The first four races are similar in distance and conditions to races with six-figure purses that will be run Jan. 19 at Gulfstream on Sunshine Millions day. 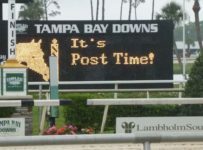 *First — Turf, 3-YO and up, one mile, 12:00 p.m.
* Second — Sprint, 3-YO and up, 6 furlongs, 12:30 p.m.
* Third — Filly and Mare Turf, F&M 3-YO and up, 7 1/2 furlongs 1:00 p.m.
*Fourth Classic, 3-YO and up, 1 /16 miles, 1:30 p.m.
*Fifth — Juvenile Fillies Sprint, 2-YO fillies, 6 1/2 furlongs, 2:00 p.m.
*Sixth — Juvenile Sprint, 2-YO, 6 1/2 furlongs, 2:30 p.m.
*Eighth Juvenile Fillies, Turf, 2-YO fillies, one mile, 3:36 p.m.
*Ninth Distaff Sprint, F&M 3-YO and up, 1 mile, 4:06 p.m.